Of all the products introduced by Microsoft in the past 10 years, SharePoint is both the most successful and the hardest to define. Ask 10 people what SharePoint does and you will certainly receive 10 different answers. SharePoint is a web portal product. SharePoint is a document management platform. SharePoint allows you to automate human workflow. It is a web content management system. 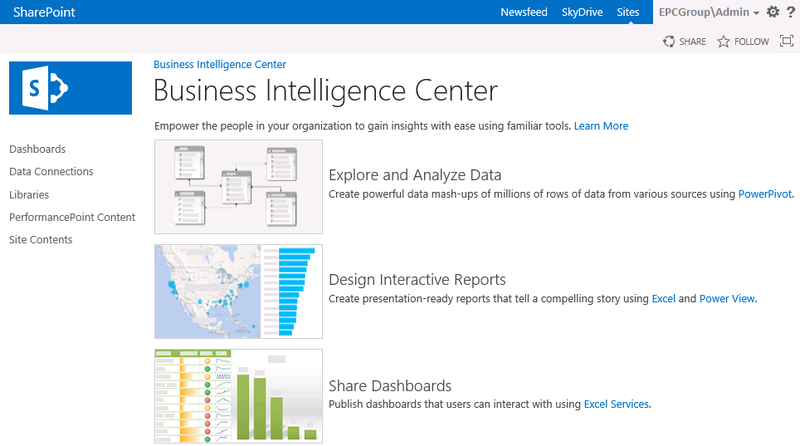 SharePoint is a front-end for business intelligence (BI) tools. It’s an enterprise search system that crawls documents, web content, and databases. Some may tell you that it’s the hub that binds together the Office products. Others might even say that SharePoint is a platform for composite application development. SharePoint is all of these things. The fact that SharePoint fills so many roles causes us as developers and IT professionals to leverage it to make our companies run better. We integrate our processes and go to great expense to extend SharePoint with our own custom code. SharePoint allows us to redefine our concept of a business application and provides the building blocks for us to better understand and share real information about our business. This is not the first article written about SharePoint development. SharePoint development has evolved with each new release of the platform, from 2003 to 2007 to 2010 to 2013. Most approaches for SharePoint development have involved writing code embedded into SharePoint, which can cause a number of performance and architecture challenges. In this article, we will walk through a scenario about a help desk application from front to back. We will discuss the concepts, architecture, tools, and design patterns to make you successful in creating efficient and effective solutions that leverage SharePoint 2010, Visual Studio LightSwitch, and SQL Server 2012. Using these tools, you can create solutions that take advantage of all that SharePoint has to offer, while decreasing the tight coupling that leads to performance problems and which may prevent your organization from easily upgrading to SharePoint 2013 or future versions. So What Does All This Have to Do with Business Intelligence? Starting with SQL Server 2008 R2, Microsoft began talking a lot about “Personal BI.” The real focus of this discussion was a paradigm shift, moving business intelligence from being something a few BI professionals do with your data warehouse, with Star Schemas and Online Analytical Processing (OLAP) cubes, to a practice done by “Information Workers” every day inside Microsoft Excel and SharePoint. The most famous cliche among developers, BI professionals, and IT managers is a phrase we have all heard at some point: “garbage in, garbage out.” It is for this reason that we begin with the design of your application and database schema to capture your data with integrity. Then we will show you how to quickly create screens and add business logic to your applications. We’ll integrate this data into SharePoint using native capability in Visual Studio Light‐Switch talking to SharePoint’s web services, providing you with powerful search capability and the ability to use this data inside of SharePoint without writing code. We’ll show you how to consume your application data and relate it to other unstructured data, such as lists and libraries. Once we have this foundation on which to build, we’ll create a tabular cube using the new Business Intelligence Semantic Model (BISM). You can do this in either PowerPivot within Excel or in the professional SQL Server Data Tools within Visual Studio. We’ll talk about the pros and cons of Excel versus Visual Studio, as well as the ability to upsize an Excel PowerPivot model into Visual Studio. The model we build together will provide a single place for reporting logic and calculations where they can be consumed from many reporting and analysis tools. Then we get to the fun part: we’ll explore our data. We will use a variety of clients from Excel and Excel Services, to Reporting Services with Report Builder, and talk about the new SharePoint Integration capabilities with SQL Server 2012. We’ll explore the incredible new data exploration tool, Power View 2012, and bring everything together in a dashboard with Performance Point Services. With so many choices, we’ll guide you through what to use when. If that sounds like a lot of new technology to cover, fear not. We’ll walk a scenario front to back and then talk about configuration and IT professional considerations at the end. With SharePoint, LightSwitch, and SQL Server 2012, the Microsoft stack has a robust and productive solution for end-to-end applications and business intelligence.